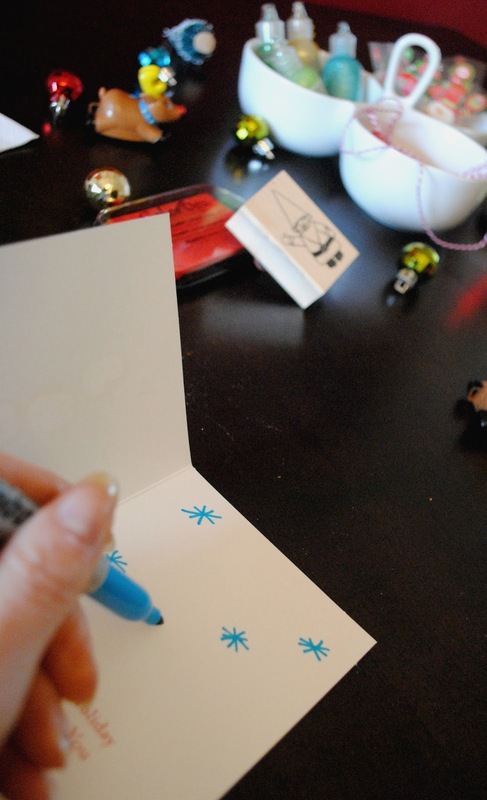 Let's face it, filling out Christmas cards can seem like they take FORever to fill out. You sit at the table all by yourself filling out the cards because it's always the women who fill out the cards. Not the men. Am I right? This year why not make it fun! 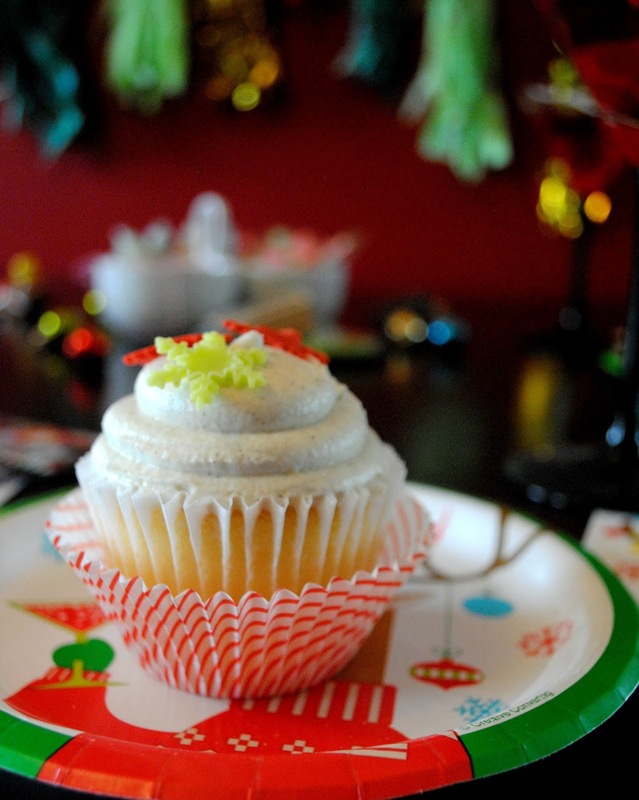 Gather your girlfriends for a Christmas cards, cupcakes and cocktails night. Filling out cards with friends is way more fun then doing it alone. Your house is probably already decorated for Christmas so this mini party won't cut into your Christmas budget. 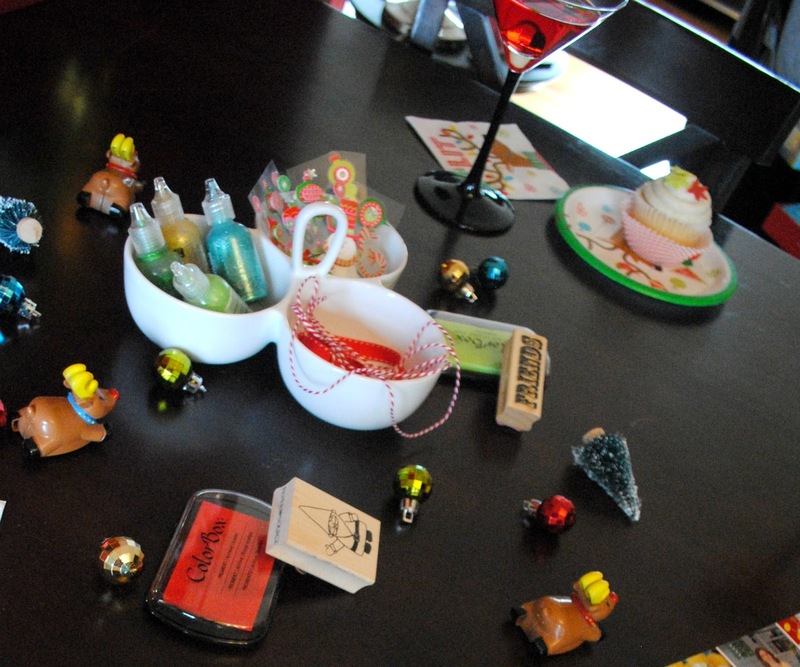 For this mini party we sat at my dining room table to fill out the cards. 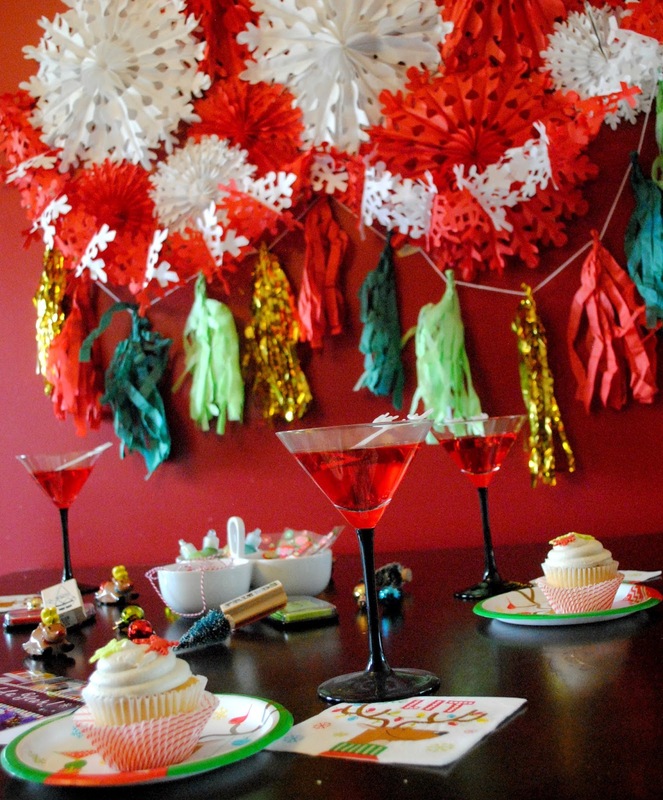 I wanted to make the area festive and fun so I splashed the wall with red and white snowflakes and fun tassel garland. The table was left pretty bare of decor so we had room to write our our cards. When serving cocktails it's always a good idea to serve some food too. 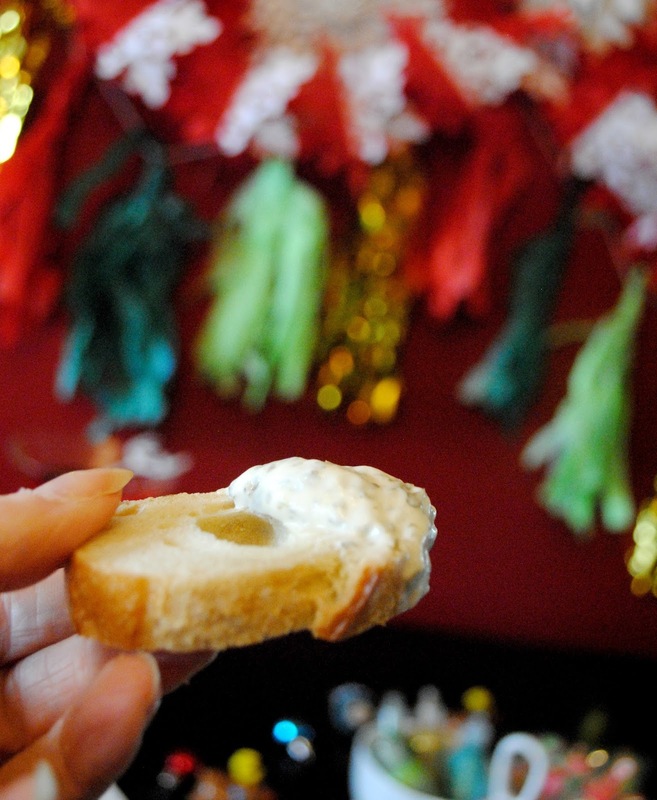 If you're not serving a full meal, bread and dip is a good option. 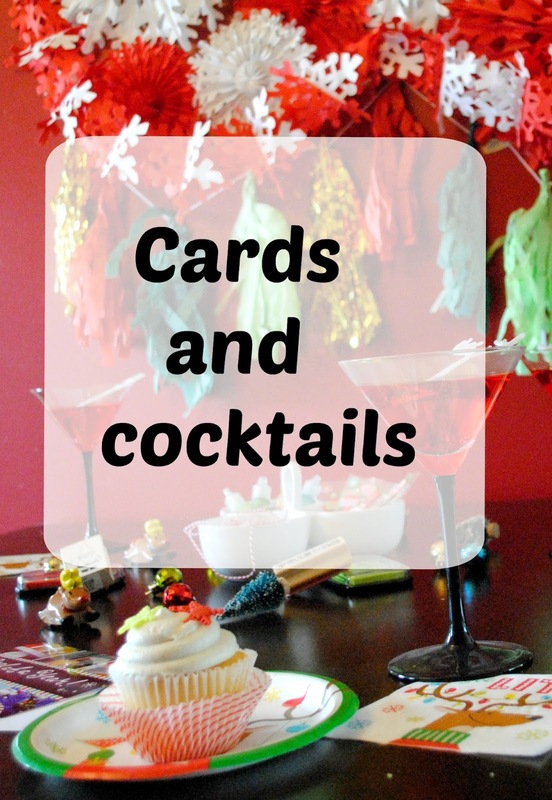 It's easy to make, easy to eat while writing out cards, and everyone loves it. You could serve a couple different dips or just one like I did. I chose Spinach Parmesan because it's just.so.good. 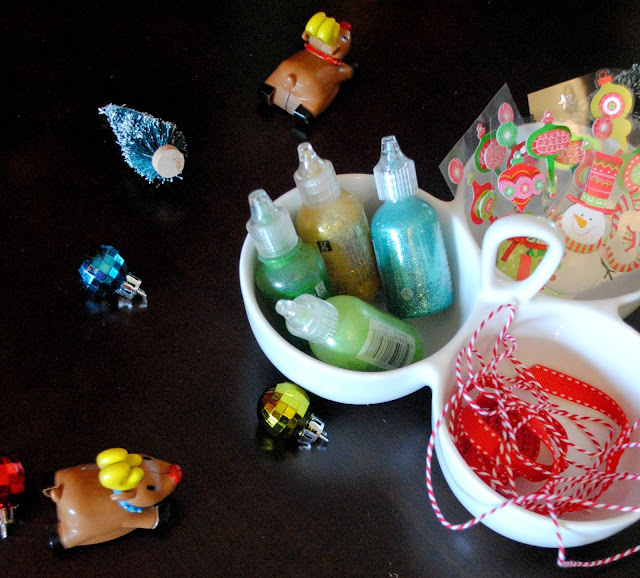 Have some craft supplies on the table in case you have some crafty friends who want to do more then just write in their cards. 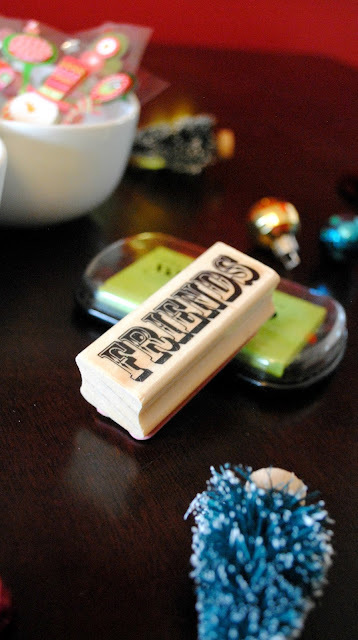 Glitter glues, stickers, stamps and ribbon are just a few things you could have on the table. 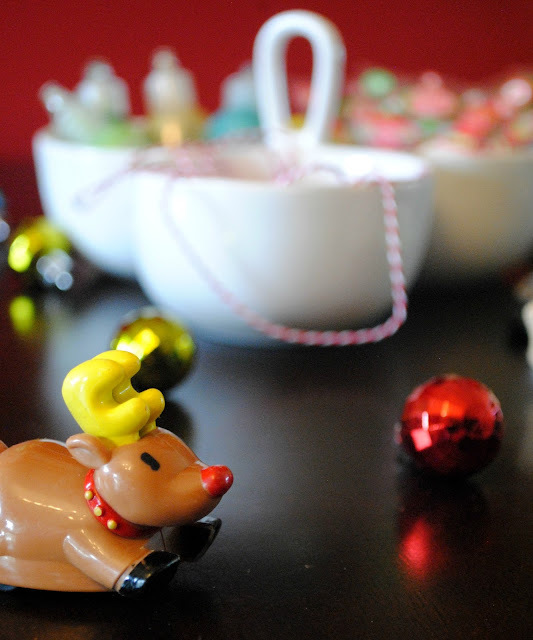 I just love these little reindeer pull back toys from Oriental Trading. They add festiveness to the table and your guests can take them home to their kids. They make great stocking stuffers too. Stockings were always my favorite part of Christmas. They're packed full of fun little items. 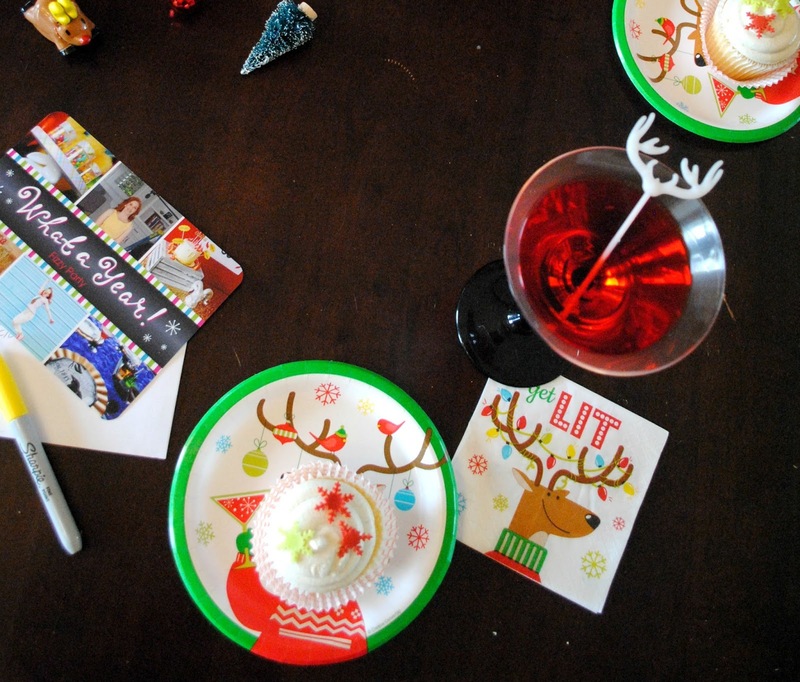 These reindeer plates and napkins fit the party perfectly. Festive, fun and cocktail in hand these reindeer are ready to get those Christmas cards done and sent out early. My friends loved the napkins the best. We talked about how they'd be great for a New Years party too. A reindeer theme works for New Years, with Christmas over the reindeer are ready to relax and ring in the New Year. See, it works! 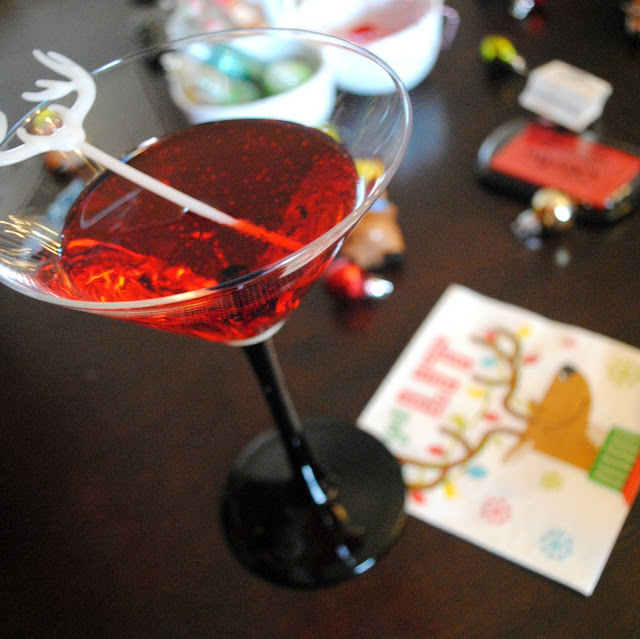 Drink stirrers aren't always necessary, it depends on the drink, but they sure are fun. 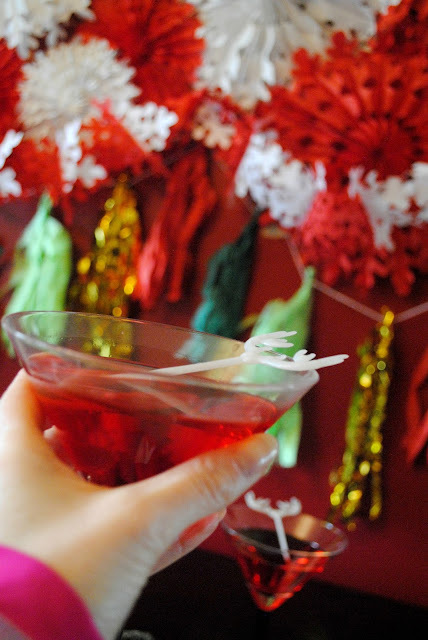 These drinks didn't need stirrers but they looked fun and I like adding little details that match the theme of the party I'm throwing. We had a lot of cards to fill out so a sugar break was a must. If you don't feel like baking cupcakes you can pick up store bought ones like I did here and embellish them with candy sprinkles. Cheers! to getting our cards done early and having fun doing it too. 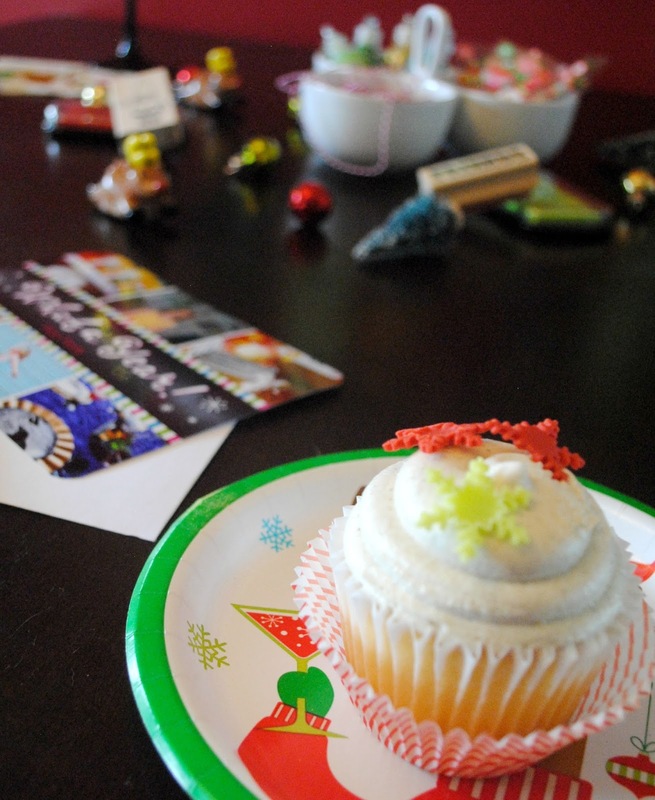 Before your guests head home with all their finished Christmas cards be sure to give them their party favor. I always like to send my guests home with a little something. 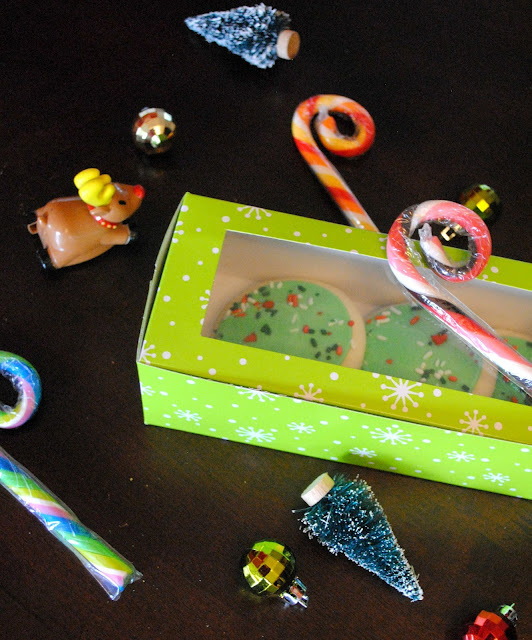 I filled festive boxes with cookies for my guests to enjoy later or to share with their family. Are you ready to have more fun filling out your Christmas cards this year?